For inquiries, sample computation requests and free site viewings, you can contact us at Tel. Nos. 0977 819-6554 or +63 917 329-1028 (Globe/Viber/Tango/WhatsApp/WeChat). You can also use the form on the right or email us at inquiry@camella-ormoc.com if you prefer online inquiries. We constantly check any queries and make sure that we reply as soon as possible. We'd like to meet up with you and take you to Camella Ormoc! We'll make sure that you avail of our latest promos so you can buy your home in Camella Ormoc with money to spare! 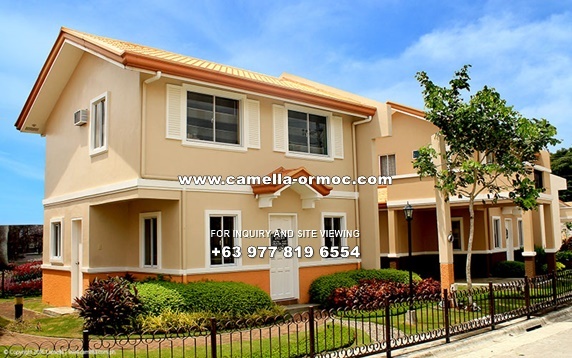 Email us at inquiry@camella-ormoc.com now! Camella Ormoc is being developed by Vista Land, the same company that built Crosswinds, a world-class Swiss-inspired exclusive community in Tagaytay City. Expect the same level of engineering expertise and customer satisfaction from Vista Land when you buy your house and lot in Camella Ormoc. Our attention to quality and customer satisfaction has brought our company recognition for the fifth time as Reader’s Digest Most Trusted Brand under the Property Developer Category. We have received the Gold Award, a distinction signifying that it has excelled significantly higher than the competitors based on the results of the Trusted Brand Survey.